More than 14,000 people visited the Entertainments Arena, organised by Wales YFC at the Royal Welsh Show in July, to see celebrities such as Greg James and Gareth Gates. Members from across Wales – and many from England – joined in the fun at the Young People’s Village, a camping and entertainment complex for young people staying at the show. More than 4,000 people camped at the site, which included free Wi-fi and improved security. 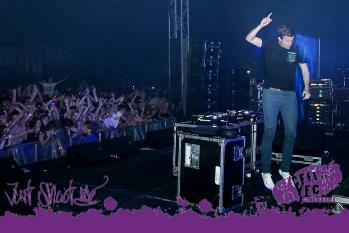 Entertainment during the week included Radio 1 DJs Greg James and Scott Mills as well as performances from Gareth Gates and pop group Five. For photos from the event, visit the album on Facebook. YFC Ski fancy dress – you decide! Young Farmers love a fancy dress do – and there’s no better time to pull on the silly clothes than when you’re high up a mountain covered in snow! So, to get the YFC Ski 2015 après-ski party off to the coolest of starts, we’re giving you the chance to choose your fancy dress theme for the guys and gals in Tignes when they go in January 2015. 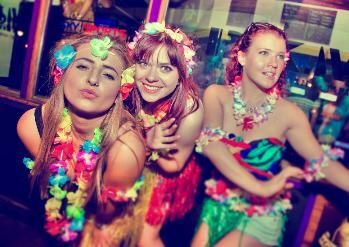 The three options for fancy dress themes are: Retro, Beach and Tweed. Choose your theme in the poll at the side of the YFC Ski Page. The trip, from 3-10 January 2015, has already taken hundreds of bookings from Young Farmers across the UK and its set to be the biggest YFC Ski trip yet. There are loads of activities for skiers and non-skiers alike and it’s a fantastic location to enjoy a winter holiday with fellow YFC members. Organised by Outgoing with NFYFC, it promises to be seven days of non-stop fun with Ski Championships, a special guest DJ at the Ultimate Funicular Party as well as the chance to go ice-diving, paragliding and even a trip in a helicopter. Don’t miss out on this amazing holiday and take advantage of early bird cheaper booking deposits before 1 September 2014. The trip is £399 and includes travel, accommodation and lift pass. There is also a wristband only package available for those who prefer to book their own transport and accommodation. For more information visit the YFC Ski pages and book on the Outgoing YFC Ski website. 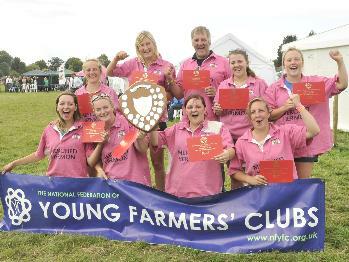 It was a familiar taste of victory for Parbold YFC in Lancashire when their junior Tug of War team took first place in the national finals for a second year running. 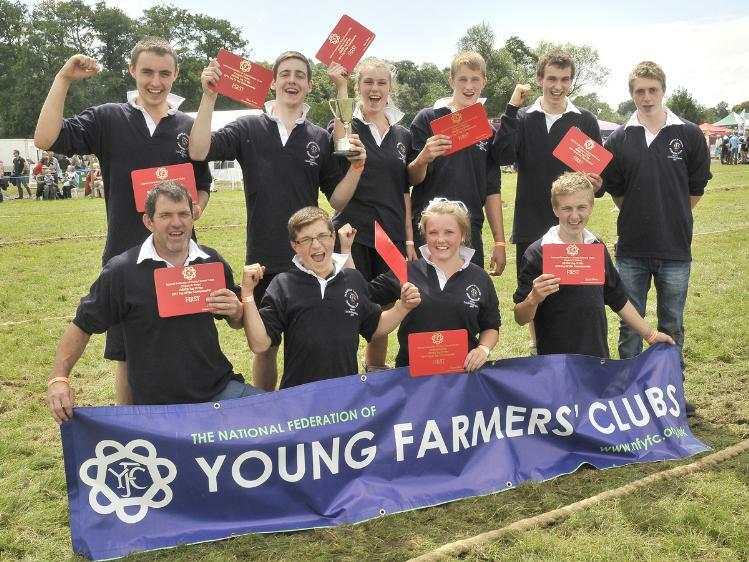 The award winning team practised for months in the build up to the competition at the Tenbury Show and benefited from the coaching skills of former Parbold YFC member and Tug of War competitor David Garner. The team’s youngest member is David’s son 14-year-old Alex – and the other members range in ages up to 17 years old. 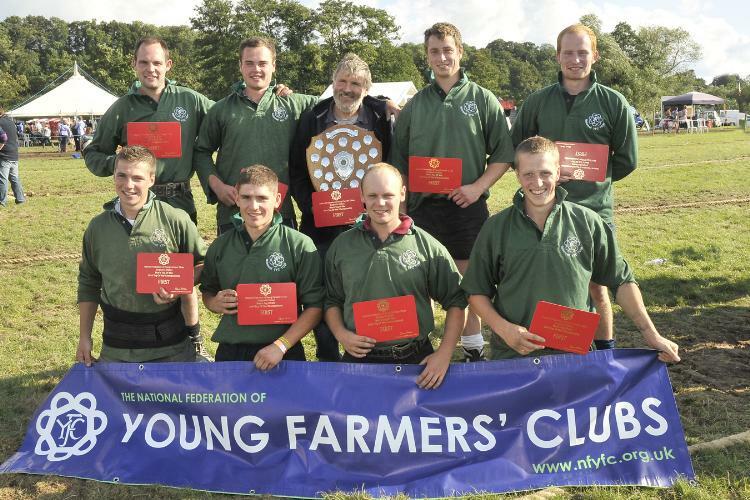 After winning so successfully at last year’s NFYFC finals the team also decided to enter the GENSB tournament in August that was being held in the UK. Parbold YFC came fifth after competing against teams from around the world in the international competition for young athletes between 12 and 19 years old. David said: "The competition was split into four groups with the top four teams in each group progressing to the knock out stages. Parbold were up against some very strong international teams, and finished in fifth place in their group to just miss out on a place in the knock out stages. Not bad for a first attempt against the junior teams of many established tug of war clubs who represent their countries at international level!" The cheering worked as Lancashire FYFC (pictured left) also came third in the Men’s Tug of War finals – just behind Derbyshire FYFC in first place and Essex FYFC in second. When it came to the ladies’ teams there were smiles all round from Pembrokeshire FYFC (pictured below right) who took home the winning trophy, with Yorkshire pulling into second place. But there was controversy when it came to third and fourth positions due to a breach of the rules from Gwent FYFC who were awarded third place on the day. A steward’s enquiry conducted after the competition resulted in Gwent being disqualified after it was discovered one of their team members had already competed for another county and in a different Area. The disqualification put Derbyshire in third place and Staffordshire in fourth. The competition also included a 4x4 Catch Weight challenge as a just for fun element to the day. Seven mixed teams competed to try and win a cash prize of £56 (made up from the £8 team entry fee). Members from clubs in Haldon, Devon were the champions after the fun sesson. Find out more information about Tug of War rules and NFYFC general competition rules. See photos of competitors on Facebook. The national finals of the Cube Exhibit competition paid respect to the 100 year anniversary of WWI when nine clubs created designs using the theme of Serving our Country. The Cubes were on display at the Tenbury Show, only two days before the actual anniversary, and it was three members from Caldbeck YFC in Cumbria that impressed the judges the most with their interpretation. 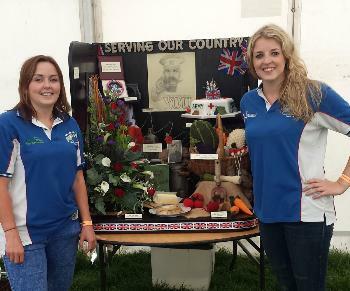 Laura Potts, Kelly Armstrong and Katie Ridley created an impressive cube with crafts that reflected five different areas of Serving Your Country. The judges scored them a total of 495 out of 500 for their individual crafts and relevance to the theme. “We brainstormed the theme Serving your Country and decided we wanted to be different so focused on different areas of what the theme meant,” said Laura who went to the Tenbury Show with Kelly to set up the Cube. Knitted vegetables that related to the Land Army Girls. The knitted vegetables were created by Katie and took hours to make. While the team knew they were up against stiff competition – they were hopeful of scoring good marks and were elated to finally find out they had won! The entire 2013/14 competitions programme has been based on the theme Serving your County to ensure YFCs remember WWI and the sacrifices made by so many during the war. The Club is now hoping to display the winning Cube at a local show at the end of August. Find out all the marks from the Cube Exhibit competition final.